THE ILLUMINATION OF CONSCIENCE predicted by Our Lady in Garabandal, Spain in 1961 will take place soon to save the world. To dilute the impact of sin and evil in the world through conversion. Everyone over the age of 7 will experience a private mystical encounter with Jesus Christ which will last anything up to 15 minutes. It is a gift from God the Father to convert people back to the truth. It is how the Final Day of Judgement will unfold only this time you will not be condemned. Instead you will be given a chance to ask for forgiveness. People will believe it to be catastrophic worse than an earthquake. 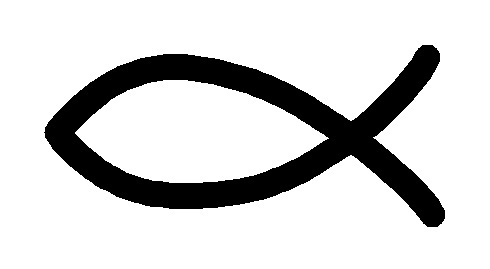 But it is not – it is a sign that Jesus has come. 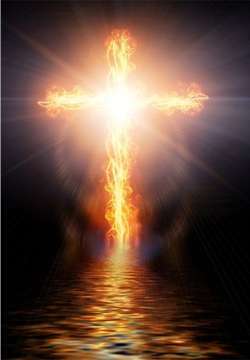 The sky will turn red – it will look like a fire & then you will see a large cross in the sky to prepare you first. Everyone will see the state of their soul before God – the good they have done in their lives, the grief they have inflicted on others and all that which they failed to do. Many people will fall down and cry tears of relief. Tears of joy and happiness. Tears of wonder and love. For, at last, it will be possible to live a new life thereafter when we know the full truth. The Warning is a thing that comes directly from God and will be visible throughout the entire world in whatever place anyone might be. The Warning will be like a revelation of our sins – and it will be seen and experienced equally by believers and non-believers and people of any religion whatsoever. The Warning is like a purification for the Miracle. And it is a sort of a catastrophe. It will make us think of the dead, that is, we would prefer to be dead rather than to experience the Warning. The Warning is something supernatural and will not be explained by science. lt will be seen and felt. The Warning will be a correction of the conscience of the world. For those who do not know Christ, they will believe it is a Warning from God. The most important thing about that day is that everyone in the whole world will see a sign, a grace, or a punishment within themselves, in other words, a Warning. They will find themselves all alone in the world no matter where they are at the time, alone with their conscience right before God. They will then see all their sins and what their sins have caused. We will all feel it differently because it will depend on our conscience. The Warning will be very personal, therefore, we will all react differently to it. The most important thing will be to recognize our own sins and the bad consequences of them. Your experience of the Warning will be different from mine because your sins are different from mine. This will be a Warning to see what you have done with your sins. It will be like a purification before the Miracle to see if with the Warning and Miracle we will be converted. The Virgin told me that before the Miracle, God will be sending us a Warning so as to purify us or prepare us to see the Miracle and in this way we may draw enough grace to change our lives toward God. It is a phenomenon which will be seen and felt in all the world and everywhere; I have always given as an example that of two stars that collide. This phenomenon will not cause physical damage, but it will horrify us because at that very moment we will see our souls and the harm we have done. It will be as though we were in agony but we will not die by its effects but perhaps we will die of fright or shock to see ourselves. No one will have doubts of it being from God, and of its not being human. I who know what it is, am very much afraid of that day.The Virgin told us that the Warning and Miracle will be the last warnings or public manifestations that God will give us. This is why I believe that after them we will be near the end of time. To me it’s like two stars that crash and make a lot of noise and a lot of light but they don’t fall down. It’s something that’s not going to hurt us but we’re going to see it. In that moment, we’re going to see our conscience. You’re going to see everything wrong that you’re doing and the good you’re not doing. Everyone will experience it wherever they may be, regardless of their condition or their knowledge of God. It will be an interior personal experience. It will look as if the world has come to a standstill, however, no one will be aware of that as they will be totally absorbed in their own experience. It is going to be something like an interior feeling of sorrow and pain for having offended God. God will help us to see clearly the harm we are causing Him and all the evil things we do. He will help us to sense this interior pain because often when we do something wrong we just ask the Lord’s forgiveness with our lips, but now (through the Warning) He will help us sense physically that deep sorrow. The Warning is something that is first seen in the air everywhere in the world and immediately is transmitted into the interior of our souls. It will last for a very little time, but it will seem a very long time because of its effect within us. It will be for the good of our souls, in order to see in ourselves our conscience, the good and the bad that we’ve done. The first event of the Great Tribulation is the Great Warning (Illumination of Conscience), as prophesied by Our Lady of Garabandal. The Warning opens up the events of the Apocalypse, just like the description of the Warning opens up the Book of Revelation. even those who pierced him. Then, in the Book of Revelation (Chapter 1, Verses 9-20)(http://www.usccb.org/bible/revelation/1), a description is given of the Resurrected Jesus, Who then blesses His people (represented by the Seven Christian Churches) by opening up the events of the Apocalypse to St. John the Evangelist. This unveiling of the Apocalypse continues today by Our Lord with the many messages given to chosen messengers by Heaven around the world. The Resurrected Jesus continues to bless his people as the following heavenly message of the Great Warning aptly describes. The sky is dark and it seems as though it is night, but my heart tells me it is sometime in the afternoon. I see the sky opening up and I can hear long, drawn out claps of thunder. 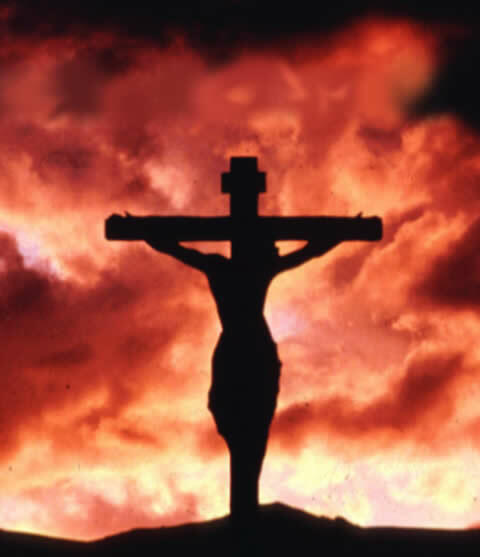 When I look up, I see Jesus bleeding on the cross and people falling on their knees. As I look up, I continue to see Jesus bleeding on the cross. I continue to see the Blessed Mother weeping to the left. 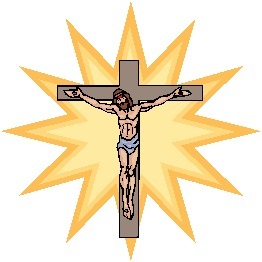 The cross is bright white and illuminated in the sky; it looks suspended. As the sky is opening up, I see a bright light come down on the cross and in this light I see the resurrected Jesus appear in white, look up toward heaven raising His hands, He then looks down at the earth and makes the sign of the cross, blessing His people. My beloved daughter, I Am so pleased at the way you follow My Words with complete faith and obedience. My Love for you is strong. So too, is your love for Me. You now feel Me very close to your heart. You are one with Me, now, My daughter. I, and My Eternal Father, as well as, the Holy Spirit – the Blessed Trinity, rejoice with your response to this very important calling. 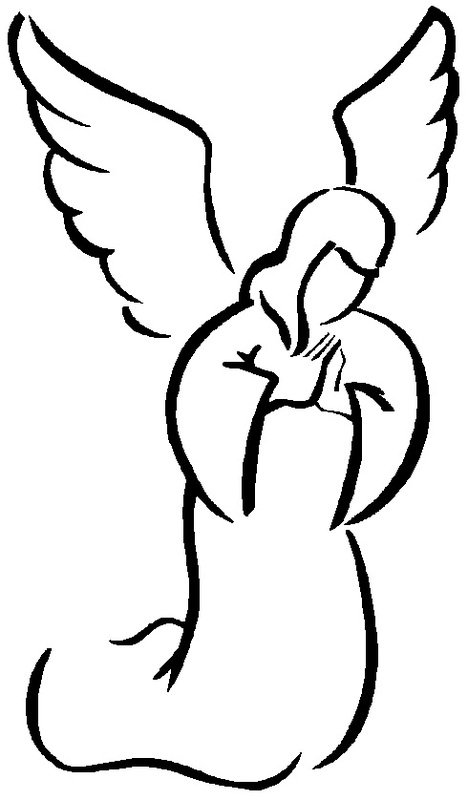 We, and all the angels and saints walk with you, every day, to protect you in this most Sacred Work. Take heart and continue to hold My Hand. Allow Me to guide you in your words to give mankind a chance to finally understand the Truth before the Great Warning. This Great Warning, out of Mercy and Love, as a last Gift to My children, will happen soon. Every single one of My children will be shown their lives, their sins, their wrong doings and every single insult they were responsible for against their brothers and sisters, all during a mystical experience. Not one man, woman or child on this Earth will be excluded. Some will be deeply shocked and saddened by the sins in their lives and will immediately turn to Me, their Just Judge, and redeem themselves. They will, out of love and sorrow, ask for Mercy. Others will be so sickened and shocked by the way in which their sins will be revealed, that they will drop dead before they have a chance to ask for forgiveness. And then there will be those who follow the deceiver. They, in their terror, when they see the wicked sins in their past life flash in front of them, will flee. They will try to hide, but there is nowhere to go. Ducking and diving, they will either accept what they see and ask for forgiveness there and then, or they will turn away and squirm in shame and horror, but will not ask for Mercy. Then there is the final sinner. When his sins are shown to him, all he will do is argue and deny that he committed these grievous offences against God’s Commandments. He will simply deny the truth and turn his back into the darkness of eternal Hell. Why won’t My children understand this? If they are genuinely repentant and desire to come and live with Me on the New Earth, where Heaven and Earth become one, why don’t they ask for forgiveness? No one will be turned away from My Just Mercy if they show remorse. Yet, so caught up in their pursuit of selfish goals, they fail to grasp the consequences. Wake up now, all of you. Accept the changes you are about to witness through the evil actions of mankind, the signs that have been foretold and which will pre-empt My return to Earth. Through this prophet and the Book of Truth, I plead with you, once more, out of My precious Love for you all, turn to Me, now, before time runs out. Let Me hold you in My Arms. Let My Love flow through you in mind, body and soul. Open your hearts and let Me guide you to My Paradise, on Earth. where you will enjoy eternal life. Why would you wish to choose the other doomed path to nowhere, when the Truth has been revealed? My Words of Warning are not a threat. This event has been known since My death on the Cross. Why do you think it cannot happen? The Truth lies in the Scripture, for all to understand. I will act as your Saviour, right up to the last minute, before I come, as Just Judge, so that I can finally lead My children to My family of great love, joy and happiness, where all will live in harmony for eternity. Satan and his followers will be plunged into darkness forever. My family will witness the joy and Divine Heavens, which no man, were they to glimpse just a taste of what it promises, would turn their back on this pure happiness in My Father’s Kingdom. Pray, pray for forgiveness and enter My Father’s Kingdom in glory where you, and your loved ones, will be welcomed into the Light of Pure Love. I died for all of you and I will fight to win you all back to Me, despite the darkness of evil in the world, up to the very last moment. Please, let Me show you how much I love you, once more. Take My Hand now, place your head on My Shoulder and your gentle soul will be set aflame with a love you have forgotten. My beloved daughter, move quickly to escalate awareness around My Message, for The Warning is almost upon the world. Tell those souls who refuse to pray, to push aside their pride and distaste and turn to Me now to ask for forgiveness. Be clear that many, many souls will not survive this imminent event. Many of these souls are simply lazy and while they may, behind it all, believe in God the Eternal Father, they think that at some time in the future they will then deal with their spiritual beliefs. But it will be too late. Tell the world this event is going to save them. Many will repent during this Mystical Experience. They will feel a burning sensation, not unlike that experienced by souls in purgatory. This will give them an insight as to what souls, who are not fully clean, have to go through before they can see the Glorious Light of Heaven. and I will pardon you instantly. Then after The Warning you will experience a deep peace and joy in your soul. Many people in the world today refuse to pray. Many young people in particular find it embarrassing and old-fashioned. They mistakenly believe, that yes, while they do hold a belief in God, that prayer is not necessary. This is not true. It is essential in order to enter the Paradise you will desperately crave after death. If you remain in sin you cannot taste this glorious feast. Just as those of you who keep fit, look after your body, watch what you eat carefully and keep trim, so too must you prepare your soul in this way. Without paying attention closely as to the state of your soul, it will become weak and lacking in the nourishment needed to ensure that it is in perfect shape. Say this short prayer on behalf of those, whom you believe need it most. Remember, children, My glorious promise. I will Triumph in the end. Satan, the deceiver, simply cannot survive. Please let Me protect you and take you with Me. Don’t give Satan your soul. I love you all. Keep asking Me to strengthen your belief every day. Hear Me now, My children, everywhere. The Swords of Justice will fall on those who fail to prepare adequately for The Warning. Many, many souls will find it difficult to understand what this event really means. So many will, as a result, die of shock, which saddens Me, because for those who do not survive, it will be because of the sorry state of their souls. Catholics everywhere, seek Confession now, if you want to benefit from My Great Act of Love and Mercy. Christians and other faiths, speak in silence, and tell God how remorseful you are, how much you regret your transgressions and ask Him to forgive you for your sins. Only those who are strong of heart in their love for Me and God the Almighty Father, will be prepared adequately. Others, because of their strength in mind and character will finally understand the Truth and accept Me with love in their hearts. As for others, so harsh will the shock be, that when their souls are revealed to them in their darkness, they will drop dead. By then it will be too late to seek forgiveness. There will be no hope for them. Pray, pray, all of you, so that as many souls as possible will survive My great Act of Mercy. My dearly beloved daughter, the time is near. The Warning is close now. It is with great sorrow that I must tell you that many souls will not heed these Messages about The Warning. My Word falls on deaf ears. Why won’t they listen? I Am not only giving them My great Gift of Mercy, when I will shower My graces over the whole world, I Am also trying to prepare them for this event. Many millions of sinners will rejoice when they are shown My great Mercy. Others won’t get a chance to redeem themselves in time, because they will die of shock. My daughter, you must do everything you can to warn the world, because this Great Event will shock everyone. They will see great signs in the skies, before The Warning takes place. Stars will clash with such impact that man will confuse the spectacle they see in the sky as being catastrophic. As these comets infuse, a great red sky will result and the Sign of My Cross will be seen all over the world, by everyone. Many will be frightened. But I say rejoice, for you will see, for the first time in your lives, a truly Divine Sign that represents great news for sinners everywhere. 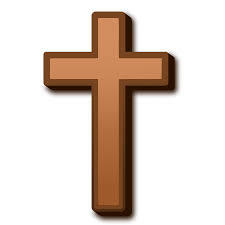 See My Cross then and you will know that My great Mercy is being given to each of you, My precious children. For it was with the deep abiding Love that I held for you that I died, willingly, on the Cross, to save you. When you see the Crosses in the sky during The Warning you will know that this is a Sign of My Love for you. Pray, My beloved followers, that your brothers and sisters can rejoice when they too, are shown the proof of My Existence. Pray that they will accept that this is their chance to redeem themselves in My Eyes. That this great Act of Mercy will save their souls if they will allow Me to help them. The Warning will be a purifying experience for all of you. It may be unpleasant in part, especially for those in grave sin. Because for the first time ever, you will be shown what it feels like when the Light of God disappears from your life. Your souls will feel the abandonment felt by those who die in mortal sin, these poor souls who left it too late to ask God to forgive them their sins. Remember, it is important that I allow all of you to feel this emptiness of soul. For only then will you finally understand that without the Light of God in your souls you cease to feel. Your soul and body would be just empty vessels. Even sinners feel the Light of God because He is present in every one of His children on Earth. But when you die in mortal sin, this Light no longer exists. Prepare now, for this Great Event. Save your souls while you can. For it will only be when the Light of God leaves you that you will finally realise the empty, barren darkness that Satan offers, which is full of anguish and terror. Replenish your souls. Rejoice now, for The Warning will save you and bring you closer to My Sacred Heart. Welcome The Warning. For then you will be given the proof of eternal life and know how important it is. My dearly beloved daughter, time is close now. There is very little time to warn and prepare all those poor souls, who will be so shocked during The Warning that they will not realise what they are witnessing. They must be told so that they will know what to expect. 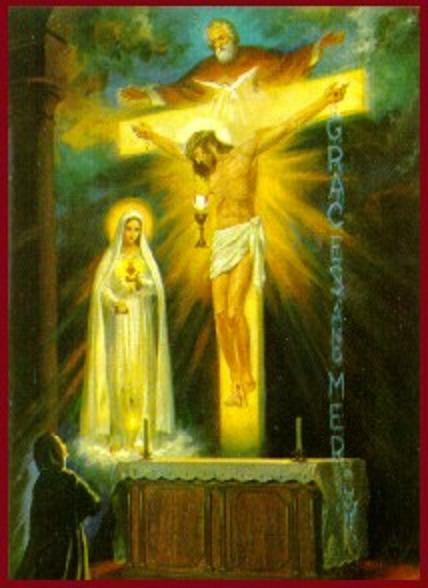 If they open their hearts to this great moment of Divine Mercy, they will be given the chance of eternal life. This great Warning is the manifestation of My Divine Mercy given to Sister Faustina. This Great Act of My Mercy was foretold and it will be during The Warning that My great Mercy will envelop the whole world. My Blood and Water will gush forth so that you will all know the Truth at last. Tell those who do not believe in Me or My Eternal Father, that this event will happen. Then when it does they will be able to withstand the shock of My Mercy, which will save millions of souls during The Warning, from the grasp of Satan. The Truth, when revealed, will save so many from the fires of Hell. The Holy Spirit, thereafter present in My children everywhere, will help defeat the works of the evil one. All of you must spread the Word about how mankind needs to prepare their souls in advance. For even believers must understand that they too will find it emotionally disturbing to view their own past sinful behaviour as it appears to Me. I call on all of you now to seek Confession. For those other Christians, you must kneel down and pray for redemption. For those who are unsure of this prophecy, please keep your hearts open for when you witness this ecological, but supernatural event, it is important that you understand that this is the greatest miracle you will ever see and that it is My great Gift to you all. Consider this. This is how the final day of Judgment will unfold only this time you will not be condemned. You will be given a new lease of life when your soul will be saved, to enable you to restore to the level I desire of it. Believers, pray for others with all your hearts now that they will be saved. My dearly beloved daughter, the stars will soon change and the time for the comet to appear, of which I spoke, when people will believe that there are two suns, is close. Soon the wondrous spectacle will be seen by humanity, and there will be heard the sound of thunder, and it will seem that the two suns will collide. My Rays of Mercy will fall on every human soul, including those who will be blinded by the Light, so dark are their souls. When the sound of thunder is heard, a quiet calm will then descend over the earth and the stillness will be deafening. No sound will be heard – only the sound of My Voice imprinted on the souls of the wretched. Go, My loyal followers, and trust always in My promise to salvage all souls. My Mercy is great and My Power almighty. My dearly beloved daughter, all must prepare themselves so that they are fit to come before Me, for I will come like a thief in the night and many will not know what is happening. Therefore, it is important that each one of you confesses to Me now. The Truth of My Most Holy Word will become pronounced, as twisted versions replace it by My enemies, who will be daring in their endeavours to deceive you. Now is the time to focus on your own souls and the state they are in. To the man who does not believe in Me I say to him. When I come before you will you be relieved to know Who I Am? Will you come with Me? I will take you and wipe away your tears and you will live a glorious life, once you confess to Me and ask Me to take you into My Mercy. To the man who believes in Me, will you be able to stand before Me, without shame? Will you come before Me, knowing all that you do about what I taught you, with a clean soul? No matter. When you say to Me, “Jesus forgive me, I want to follow You,” you will be saved. To the man who believes in Me, but who believes he is exemplary and in no need of confession, are you also fit to come before Me? When I show you the state of your soul, will you argue with Me and say that you are fit to come before Me when you are not? If you cannot accept My Gift of Mercy and admit your wrongdoing, then you will remain separate from Me and I will give you only one more chance of reprieve. To all of humanity, I ask you to prepare first your soul. You must fix every part of your soul, before you are ready to stand complete in My Presence during The Warning. If you don’t, you will have to endure a painful purification and your Purgatory will be endured on Earth, before the Day My Second Coming dawns. I urge you to say this Crusade Prayer for each of your own souls and that of your loved ones. Now is the time to remind yourselves of everything that I taught you. Now is the time to examine The Ten Commandments and ask yourselves if you have truly lived your lives accordingly. Be honest with yourselves because if you are not, you will – either way – be shown how you have grieved Me in your lifetime. But, let Me give you comfort. I come only as a God of Mercy. I do not come to frighten you, for I truly love each of you, no matter what you have done, but My Patience is limited. Only those who accept the grievous nature of their sins against God can be enveloped into My Divine Mercy. Those who reject Me will have little time to redeem themselves, for I will separate the sheep from the goats. One side will come with Me. The other side will be left and then the New Beginning will be made known to every creature. Only those who love Me will be given Eternal Life. Heed now My Call, for I do this to ensure that as many of you as possible are prepared well before the Day of the The Warning. My child, please let it be known that my precious Son is preparing for His Great Intervention of Mercy. The world will be renewed as a result and many will rejoice in their new-to-be found freedom from doubt about the Existence of God. For, although He told everyone that day that He would come again, they did not truly understand what He meant. Some thought that it would be weeks before He would make Himself known. But, remember, a day in God’s Time, can be any time. Now that Day is drawing close and all the prophecies foretold, as to the signs of the time of the end, are happening. Have no fear in your hearts, dear children, for the time for rejoicing is almost upon you. There will be no more tears or sadness, for my Son’s Great Day will dawn suddenly and He will gather all of His own into His Sacred Arms. Pray for God’s Great Blessings and for the Great Mercy, which my Son holds, in great abundance, for each one of God’s children. This includes the good, the bad and the indifferent. By the miracle of the Illumination of Conscience, He, my Son, will bring joy, love and hope to the world. Be thankful for this great Mercy. My Son’s Love for you will never die, fade or be withheld, because you belong to Him. You are His. You are the children of God. You do not belong to Satan. Pray, pray, pray that humanity will choose the Merciful Hand of my Son over the deceit and the wicked stranglehold, which the evil one exerts over the weak. My dearly beloved daughter, how the world will soon sit up and acknowledge My Presence. My Presence will be felt in every nation, country and home and no one will deny My Presence, yet some will not want to witness My Intervention. You must all accept that when The Warning takes place, that it is a Great Sign from Heaven. It will confirm the Love, which God has for all of His children. Your lonely separation from God will come to an end that Day. For those who want the Protection they desire, from the sorrow, which exists in the world today, know this. I will wipe away your tears. Forgive you your sins. I will Bless all of you, including those who will turn their backs on Me, in the hope that they will come running back to Me, so that I can save them. The world is Mine. God’s children will be gathered together and all of those whose names are in the Book of the Living will be swept up into My Arms. Pray that those who have doubts will be rid of them, that those who are in terrible darkness will ask Me for Mercy and that those who deny Me will finally recognise Me. You must never allow the detractors of My Holy Word to take you away from Me, your beloved Jesus. Soon you will see Me, in all of My heavenly Glory, and then you will finally understand the Mystery of My Divinity. atonement for the sins of the lost souls who need My Mercy the most. My children, you will always be under my protection when you call on me, the Mother of Salvation, throughout this Mission. I am a servant of God and my role is to serve my Son, Jesus Christ, and help Him in His quest for souls, which will cover the whole Earth. Not one nation will be excluded by Him. My Son’s Plans, to prepare the world, include every race, nation, creed and every man, woman and child will be aware that He is coming to help them. He does this because of the deep Love, which God holds in His Heart for His children. Many people, who do not practice any religion, will be unable to ignore the Intervention in the world by my Son, Jesus Christ. They will be overcome and unable to comprehend, at first, the extraordinary spiritual experience they will feel, in every fibre of their hearts and souls. What a joy The Warning will be for many people, as it will bring with it the proof of my Son’s Existence. With this Gift, many will be filled with a peace they will have never felt before, as well as a great longing to be in the company of Jesus. While all doubts about the Existence of my Son will flee from the minds of those who are blind to the Truth of the Word of God – for many, they will need spiritual direction once the Truth of The Warning is revealed. After The Warning will come a great desire to give glory to God. This will be a period of great trials; because the enemies of God will do everything possible to convince the world that The Warning – the Illumination of Conscience – did not take place. When God humbles Himself to call out to His children and when He begs them to listen to Him, this is one of the greatest Acts of Generosity on His part. Children, accept The Warning with good Grace, because for many it will be the lifeline they need to live in the world without end. Never reject great acts or miracles from Heaven, for they are for the good of all, so that salvation is granted to the masses and not just the few. Always give thanks for my Son’s Great Mercy. You have heard how Generous He is and soon you will bear witness to the extent of His Mercy, which will encompass the world. My dearly beloved daughter, when the Warning takes place this will be the first stage of the preparation for My Second Coming. Those who will not accept Me will be given an extraordinary chance to take time to ponder upon the Truth, such is the extent of My Great Mercy. Please wait for this Day with great joy for it will then that unbelievers will finally realise Who I Am. They will be shaken out of their apathy and filled with astonishment. The Warning will help the world to fight the greatest apostasy of all time. By turning to Me during this 15 minutes of compete solitude, and asking Me to pardon you, you will be filled with the Gift of the Holy Spirit. Then you must prepare to fight to help others fulfill their glorious future. While the Warning will ignite the faith of the faithful and convert many, there will be a great number of people, including priests and senior members of the clergy, who will deny it took place. They will lead many away from Me and for that they will be judged harshly. The Illumination of Conscience will bring with it a great outpouring of love from those whose names are contained in the Book of Life. These are the people – and they include many unbelievers – who will convert and who will fight to save their brothers and sisters. My Time will be used to draw towards Me those who do not know Me at all, but who will still come to Me, when they witness this great event. They will know Me instantly and will respond in the way that they know best. All of these events will come soon and, when the prophecies given to man from the beginning unfold, they will make perfect sense. Many of the prophecies given in the Book of Revelation were written in a way so that people would understand them through the use of symbols. The reality is different, but know this. The Intervention by Me will change the world forever. After that those who are for Me and who love Me, will help Me to bring Eternal Life to billions. My dearly beloved daughter, the hatred against all good things which come from God, including His Holy Word, is intense at this time. Love in the hearts of man, which is naturally present in the soul of every child born into the world, has turned cold in the hearts of humanity. Charity and love for one another has evaporated and, as foretold, man will turn against his brother, sister, father, mother and neighbour as the final battle for souls reaches its pinnacle. The good, the meek and the humble will be trodden upon and those with malice and a lack of love in their souls, will bully those who dare to speak the Truth. My Father, by whose Holy Command I speak to the world, has instructed Me to issue this warning. Prepare to face Me for soon the skies will split and the Fire of the Holy Spirit will be upon you. Those with tender hearts and whose souls are filled with love for others will be rewarded with the Gifts I will bring with Me on that day. To the others I say this. For every wicked act, word or deed you are guilty of and for the pain you have inflicted on others, you will experience the pain of your iniquities as seen through My Eyes. Because so many will be shocked when they see the state of their souls I ask that you do not fear. Simply trust in My Great Mercy. I am coming not to punish or judge you but to awaken within you the love that you have lost for Me. Come all of you the time for God’s Intervention is close and those who prepare their souls, through the act of reconciliation and Confession, will be spared the pain of purification.